Jesus asked his disciples, “Who do men say that I am? (Mark 8:27). There has never been a more import ant question in all of history. Though the Apostle Peter came up with the right answer when he said, “You are the Christ,” his fellow apostles made other suggestions: “Some say John the Baptist; and others, Elijah; but still others, Jeremiah, or one of the prophets” (v. 28). These are the types of answers typical of pseudo-Christianity as well (i.e., groups which claim to be Christian, but depart from essential doctrines). In cults and world religions, Jesus is usually respected as a great teacher, a prophet, even as semi-divine. Yet, they fall short of affirming him as the “theoanthropos” – the God-Man of the Bible. In this article, we will look at the different views of Jesus found in Mormonism, Jehovah’s Witnesses, the Word-Faith Movement, the Mind Sciences, and Islam. We will see that in each case the biblical Jesus is “demoted” to less than the divine Son of God incarnate in Jesus Christ. Since Mormonism teaches henotheism (worship of one God among many gods) instead of monotheism (one god), and since they teach that Jesus is a separate god from His father, it is simply not possible that the Mormon Jesus is the same Jesus believed in by orthodox Christians. The Jesus of Mormonism first preexisted as raw, unorganized matter or pre-intelligence with all life that ever was or ever will be. Before he was a man, Jesus existed in the spirit world as the eldest of many spirit children born to God the Father by one of his many goddess wives. Jesus was the offspring of natural procreation between God the Father and Mary. The Jesus of Mormonism was the spirit-brother of Lucifer in the preexistence. Jesus did not fully atone for sin, but his death merely frees us from the consequences of Adam’s sin so that we may work our way to godhood. This is not the Jesus of the Bible. The Jesus of Scripture is the only begotten of the Father (John Scripture is the only begotten of the Father (John 23); fully and uniquely divine (John 1:1; 8:58; Col. 2:9; Isa. 9:6); and paid the penalty for ours sins once and for all (Heb. 7:25; 9:12; 10:13-14). Like so many other anti-trinitarian group s, they stumble over the dual nature of Christ. The Scriptures clearly teach that Christ is undiminished and uncreated Deity (John 1:1; 8:58; Col. 2:9, etc.). Moreover, Christ was true and complete humanity (John 1:14; Phil. 2:5; Luke 2:52; John 19:28; Hebrews 4:15). Christ is both fully God and fully man. His divine and human natures are united in one Person without confusing the natures or dividing the Person – what theologians call the hypostatic union. The problem is that arche has several other possible meanings. The context of Revelation 3:14 is similar to Colossians 1:15-18, which makes Christ Lord, Chief, and Architect over all creation. Thus, the Greek word arche, from which we get our term “architect” means, “That by which everything begins to be, the origin, active cause, first cause.”8 W e see from cross-referencing the Old Testament with the New Testament that Yahweh alone created all things, and since Jesus created all things, Jesus is Yahweh (Colossians 1:16; John 1:3; Isaiah 44:24; 45:6, 7, 12, 18). Moreover, if the Watchtower insists that arche means “having a beginning” or “created”, then they are left with the problem that Jehovah too was created since He is called “the Beginning” in Revelation 1:8, 21:6, and 22:13. Jehovah’s Witnesses are famous for their translation of John 1:1: “In the beginning was the Word, and the Word was with God, and the Word was a god.” By “a god,” they mean that Jesus was “godlike” but not God. In the last clause of the verse, the Greek word theos (“god”) appears without the definite article ho (“the”). Witnesses claim that since the Greek language has no indefinite article (“a” or “an”), the absence of the definite article requires the translation “a god” in this verse. There are two problems with this translation, however. First, the Watchtower applies their own translation principle inconsistently. For example, theos appears four more times in John 1:1-18 without the definite article in the Greek New Testament (once each time in verses 6, 12, 13, and 18). Y et, only in verse 1 of the Watchtower’s New World Translation does the translation “a god” appear. This biased rendering of John 1:1 cannot be justified and has been rejected by every reputable Greek scholar. Notice that the word “Word” (logos) has the definite article “the” (ho). This tells the Greek reader that “Word” is the subject of the clause rather than the predicate nominative9 (even though it comes after the verb). If “God” (theos) had had a definite article also, then it would have been unclear which noun was the subject. So, since the Apostle John placed theos at the beginning of the clause for emphasis, the absence of the definite article before theos has nothing to do with whether the noun is definite or indefinite. It has to do with signaling which of the two nouns is to be taken as the subject and which as the predicate nominative. John 1:1 clearly teaches the deity of Christ as do many other text s. The Watchtower s angelic Jesus is a poor substitute for the exalted God-Man of the Bible. 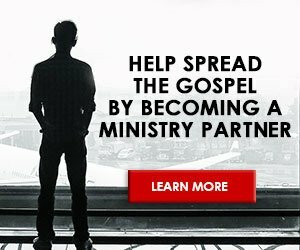 The Word-Faith Movement is a pseudo-Christian movement that exists within evangelical Christianity, especially within charismatic and Pentecost al circles. Leaders of this movement include the late Kenneth Hagin, Kenneth Copeland, Benny Hinn, Paul and Jan Crouch, and others. Word-Faith teachers like Copeland misunderstand the dual nature of Christ, and misinterpret the “self-emptying passage” (Phil. 2:5-7). They also ignore all the “I AM” passages such as John 8:58 where Jesus boldly asserts, “I tell you the truth. . .before Abraham was, I AM.” The phrase “I am” was one of the Old Testament names for God, derived from Moses encounter with God at the burning bush (Exod. 3:14). There is no mistake about what Jesus is claiming. He was claiming divine status because He was claiming to be God in the flesh! That is, in his earthly sojourn, Jesus believed himself to be God incarnate. Jesus was a carbon copy of Adam who was originally created as a “little god” – a carbon copy of God. Jesus is no more a god than faithful Christians can become. Jesus took on the very nature of Satan on the cross (i.e., he was a demon-possessed man!). Jesus was born again in Hell with a divine nature. Jesus death on the cross did not atone for sin; redemption was accomplished in Hell as he was tortured by demons. This is indeed a different Jesus! There are several groups that fall under the category of the Mind Sciences, but I will discuss the two most prominent ones: Christian Science and the Unity School of Christianity. These pseudo-Christian cults have much in common with the so-called New Age movement, though they pre-date the “New Age.” For instance, they deny the real existence of physical pain, sin, sickness and death. They believe that the physical world is an illusion. So, for one to seek medical attention is to give in to an illusion. For the Mind Sciences, God and Jesus are set forth, more or less, as simply a divine idea, an idea that any person can potentially have in order to achieve spiritual enlightenment. Spiritualizing Jesus’ life and resurrection, and calling Christ a “divine idea,” turns Jesus into nothing more than a figment of the mind science imagination. This of course, is not the Jesus of the Bible. The biblical Jesus was born into physical flesh in a physical world (John 1:14; Luke 2:6-7; Gal. 4:4); he died (Phil 2:8; Rom. 5:6, 8; 8:34; Gal. 2:20-21; 1 Corinthians 8:11; 15:3); and He was raised bodily from the grave (Luke 24:37-43; Rom. 6:4; 15:12-13; Acts 26:23). When Jesus asked his disciples who people said He was, one of the answers they gave was “One of the prophets.” This is precisely the answer given by Muslims. They teach that Jesus, along with Adam, Moses, David, Isaiah, Muhammad, etc., was a prophet of God. Of course, for the Muslim, Jesus was not the greatest of the prophet s. That privilege falls to Muhammad, the founder of Islam. We have seen that pseudo-Christian religions have a place for Jesus in their doctrine and practice. Yet, that place falls short of the place he finds in orthodox Christianity and the Bible. The Christian community needs to understand the deficiencies of these false views of Christ and be prepared to declare the true Jesus whose name is above every name. 1 Gordon B. Hinckley, LDS Church News Week article (June 20, 1998) posted at www.desnews.com/cgi-bin/libstory_church?dn94&980621009D. 2 For a fuller elaboration and defense of the following point s, see my From Fortune Teller to Fortune 500: The History and Beliefs of Mormons, Areopagus Journal 4:5 (Sept.-Oct., 2004): 4-9. 3 Let God Be True (Watchtower Bible and Tract Society, 1952), 101. 4The Word, Who Is He? (Watchtower Bible and Tract Society), 20, 41. 5 See The Kingdom Is at Hand (Watchtower Bible and Tract Society, 1944), 46-49; and The Truth Shall Make You Free (Watchtower Bible and Tract Society , ), 49. 6 See Ron Rhodes, Reasoning from the Scriptures with Jehovah’s Witnesses (Eugene, OR: Harvest House, 1993),133-137; Norman Geisler and Ron Rhodes, When Cultists Ask (Grand Rapids: Baker, 1996), 166. 7 Reasoning from the Scriptures (Watchtower Bible and Tract Society, 1985), 409. 8 See the discussion by Ron Rhodes, Reasoning from the Scriptures with Jehovah’s Witnesses, 123-127. 9 A predicate nominative is a noun that completes a helping verb such as is or was. 10 Kenneth Copeland, “Take Time to Pray,” Believer’s Voice of Victory, February, 1987. 11 Kenneth Copeland, “Questions and Answer,” Believer’s Voice of Victory, August 1988. 12 For more on these Word- Faith beliefs, see Steven B. Cowan, “Little Wormy Spirit: The Word- Faith Jesus,” Areopagus Journal 3:5 (Sept.-Oct. 2003): 14-19. 13 Mary Baker Eddy, Science and Health with Key to the Scriptures (Boston:First Church of Christ, Scientist, 1906), 361. 14 Mary Baker Eddy, Miscellaneous Writings (Boston: First Church of Christ Scientist, 1896), 84. 15 Unity 57:5, p. 464; and 72:2, p. 8. 16 Eddy, Science and Health, 313, 73. 17 H. Wayne House, Charts of Cults, Sects, and Religious Movements (Grand Rapids: Zondervan, 2000), 169. 18 For more information on the question of whether or not Muhammad qualifies as a prophet see my “Jesus Vs. Muhammad,” Areopagus Journal 2:4 (Oct. 2002): 26-31. 19 Norman Geisler and Ron Rhodes, When Cultists Ask, 45.